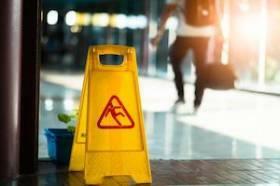 A slip and fall can happen to almost anyone, almost anywhere, especially during the winter months. Yet, there are some Americans who are at a higher risk of serious injury than others. Of particular concern are those who are over the age of 65. Even more concerning for this at-risk group is the fact that they are also more likely to suffer a slip and fall injury. Learn more about this risk, and what you can do if you or someone you love has suffered a slip and fall injury in Illinois. Information from the Centers for Disease Control and Prevention (CDC) indicates more than 2.8 million older Americans experience a slip and fall each year. More than 27,000 of those falls resulted in death. Many others (one in five) resulted in serious injury, such as broken bones, facial fractures, and traumatic brain injury. Further, more than 800,000 older Americans are hospitalized due to head injuries, hip fractures, spinal cord injuries, and other serious slip and fall injuries. At least two people in Illinois recently experienced an injury because of slick, snowy, or icy outdoor surfaces. Sadly, it is an all-too common issue each winter. In fact, at least one-third of all workers’ compensation claims during the winter months are attributed to slips or falls on ice or snow; this does not even begin to account for premises liability incidents of non-employees. Keep yourself safe an accident-free the remainder of the winter season with the following tips on preventing slips, trips, and falls on ice or snow. When outdoor surfaces are slick, opt for shoes or boots with rough textures, such as waffling or ridging. If dress shoes are necessary for work or an event, change into them once you are indoors and no longer at risk of falling on icy or snowy surfaces. Additionally, it is important to remember to clean your shoes before walking indoors; caked-on ice or snow can become hazardous on non-carpeted indoor surfaces.